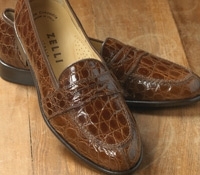 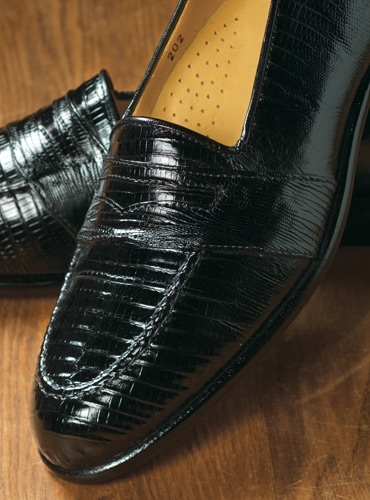 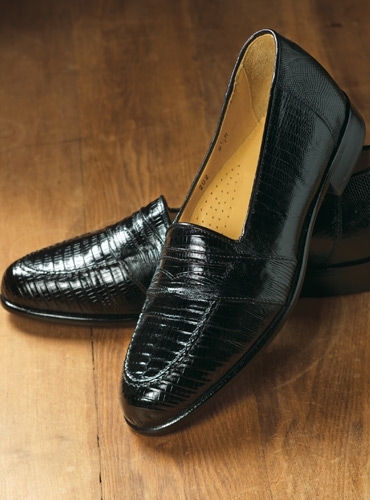 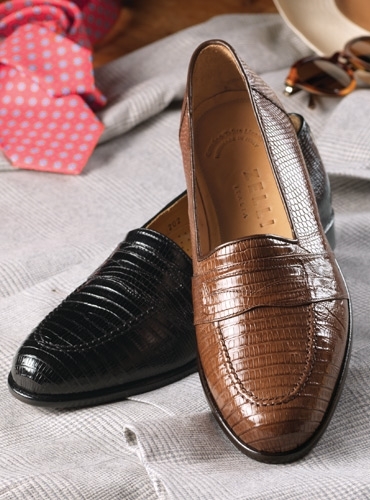 Our geniune Teju lizard full strap penny loafers are handcrafted in Tuscany by Zelli, one of Italy’s finest makers. 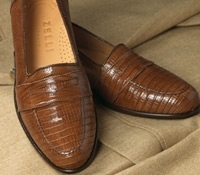 Supple lizard is comfortable as well as durable. 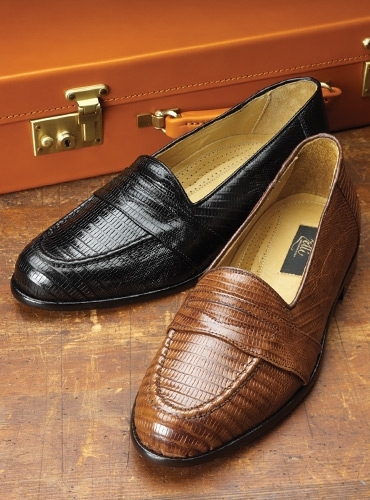 Shown in black, also available: A-cognac. 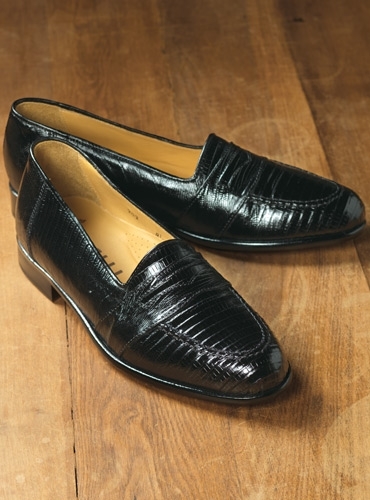 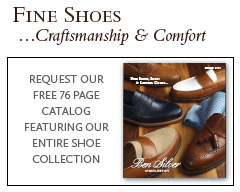 Available in sizes 8.5–12 and 13, medium width.